I was also a bit surprised by that cost. good question about subsidies? I have no idea. I'll see what mr google can tell me. Those fees do sound a bit low. 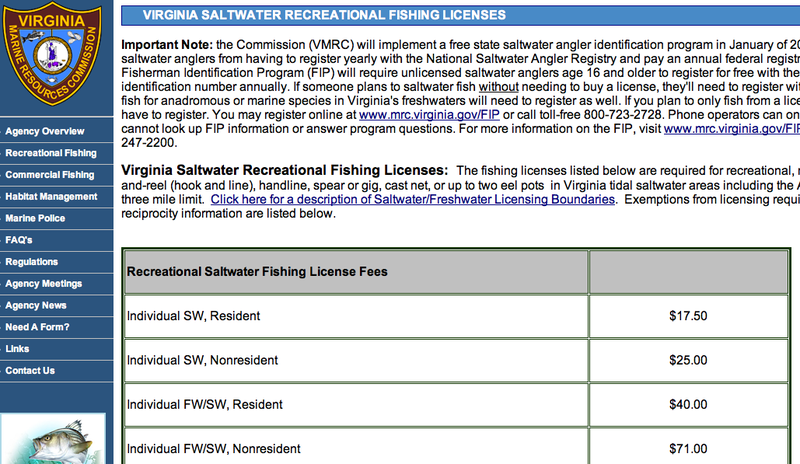 I think in some states a guide license can cost that much, and it doesn't really entitle you to keep any more than a regular license… they just figure if you make your living off the fish then they should tax you for it. 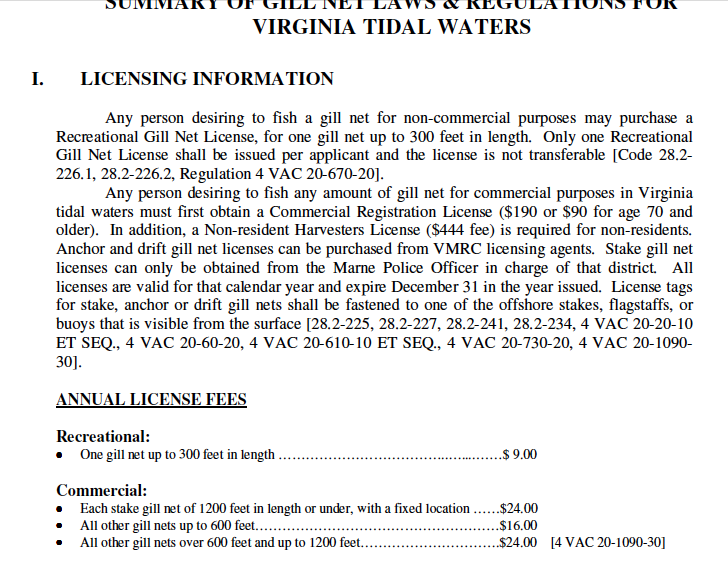 I think anyone who profits on natural resources should pay an appropriate tax (and in most cases I think they do), but the VA commercial license seems a bit lenient. Jay – There may even be fees I don't know about. Taxes and such. 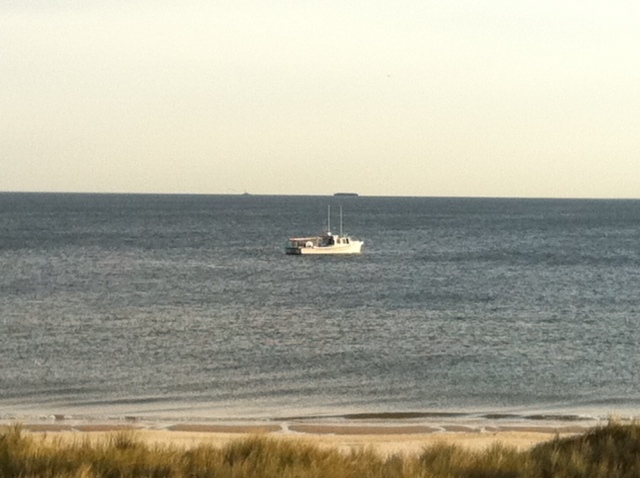 But income taxes and equipment fees (boats, nets, etc) wouldn't be directed at resource management. And I guess that is my point. I feel like the justification of our recreational license fees is often the funding of resource management; I just think it should be proportionately increased based on use.